Why Jack believes your pattern, in terms of leadership, is defined by the early bonds you have. Jack’s early search for answers, staring out the window in school wondering who invented the hula hoop, and how it has cultivated a lifelong search for answers. The importance of perseverance. Jack tells how he felt he had failed at everything (seminary, military, education) before finding the role where he could succeed by deciding to change the business world at the age of 19. The idea of doing one more thing. How Jack was influenced by leaders, early in his career, who had the philosophy that anything he did, he could have done one more thing. Ask one more question. And how that affected him then and now. Where Jack believes he got his sense of urgency and his belief that he can do anything. “Mini games.” What they are and how the first one involved gambling. Why Jack believes it’s important to be the guy who makes the simplest jobs and tasks interesting and challenging. The freakout factor. What it is and why Jack believes that the faster a new person reaches the freakout factor in a new role, the better they will succeed. How he improved productivity from $44 to $78 per person by making his department the most interesting place to work in the company. By giving his workers something to shoot for. The incredible learning opportunity that comes with applying for an outrageous business loan and why Jack feels that’s a better education than pursuing an MBA. Jack’s initial responses to God-like questions from employees and how Jack was able to get them to stop asking these types of questions. Jack was able to secure a $9,000,000 loan with only $100,000 in equity. Learn how and how much it’s worth now. Hint, it’s a HUGE difference. Why Jack believes your house is like a business. How Jack made it to Springfield. The employee response when Jack asked his employees to buy the company with him. Why Jack believes the concept of scalability is killing businesses. The mental transformation of ownership and how Jack’s manufacturing experiences helped him create a new way of managing the business side of his organization. How Jack came to the realization that his organization needed a system to operate more effectively. Why Jack believes that nine times out of ten when there is a problem in business it’s a systems problem that requires correcting the system rather than getting rid of a person within the organization. How creating a system, in his business, where everyone actively participated in the success of the business (and had a stake in that success) contributed to the overall success of the business at a time when so many other businesses were crumbling. Overcoming the boredom of repetition. How Jack kept everything interested by creating targets and goals, and celebrating them along the way, to avoid the fatigue and boredom that goes along with the repetition necessary for consistent corporate success. Jack’s idea of quarterly bonuses to help keep motivation and morale high and why that works better than annual bonuses paid out once a year. How Jack troubleshoots problems as they arise in his business and how his system for doing that helps him keep his organization on track no matter what’s going on in the world around him. Why Jack believes it’s important to learn to let go of problems you can’t solve. What happened when the head of Patagonia visited SRC. Why Jack believes Bo Burlingham is one of the best business writers of our time (and why I agree!). About a surprise guest that arrives just in time to usher in part 2 of this exciting interview. Jack Stack is Founder, President and CEO of SRC Holdings Corporation. Jack has been called the “smartest strategist in America” by Inc. Magazine and one of the “top 10 minds in small business” by Fortune Magazine. A pioneer of the leadership model known as open-book management, Stack is the author of two books on the subject, The Great Game of Business and A Stake in the Outcome. 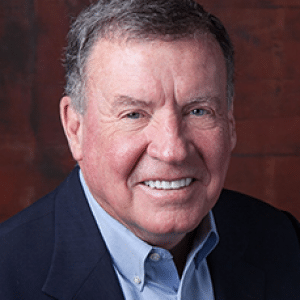 His expertise in using the open-book model has helped SRC Holdings Corporation start, acquire, and own over 60 businesses and created thousands of jobs since 1983. Along the way, SRC’s stock value has increased 360,000%. Jack has served as a world judge for the Ernst & Young Entrepreneur of the Year Awards Institute and as an advisor for this group since 1998. Jack designed the first ever United Way Entrepreneurial Fund to encourage innovation within the non-profit community. He has also served as a contributor for Inc. Magazine and The New York Times and has addressed thousands of audiences on the topic of open-book management. Jack is the father of five children and grandfather of six.